How do you please YOUR customer? By providing the parts ordered: clean, on time and within specifications. Doing that, reflects well on YOUR company. It also reflects well on ours. Wirth Tool & Die, Inc. - Building Peace of Mind. 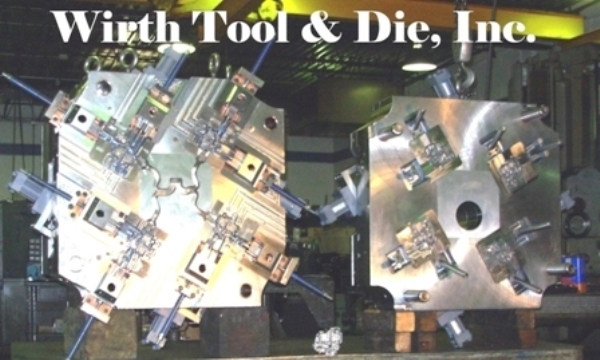 Wirth Tool & Die, Inc. offers extensive knowledge building molds, dies and trim tools for various end users since 1966. Our expertise includes both thermoplastic and thermoset injection molds as well as high and low pressure metal castings and trim tools. Solidworks 3D modeling software is used to ensure all of our engineering is quick, precise and repeatable. We provide fast quotes and approach each job as if our reputation depends on it, because it does. Learn more on our "About Us" page. At Wirth Tool & Die, we've worked hard to win our reputation and work just as hard to keep it. See how we can work hard for yours by requesting a free quote from our site. Or call us at 262-251-8630.